The tech world can seem incompatible with the fashion industry. 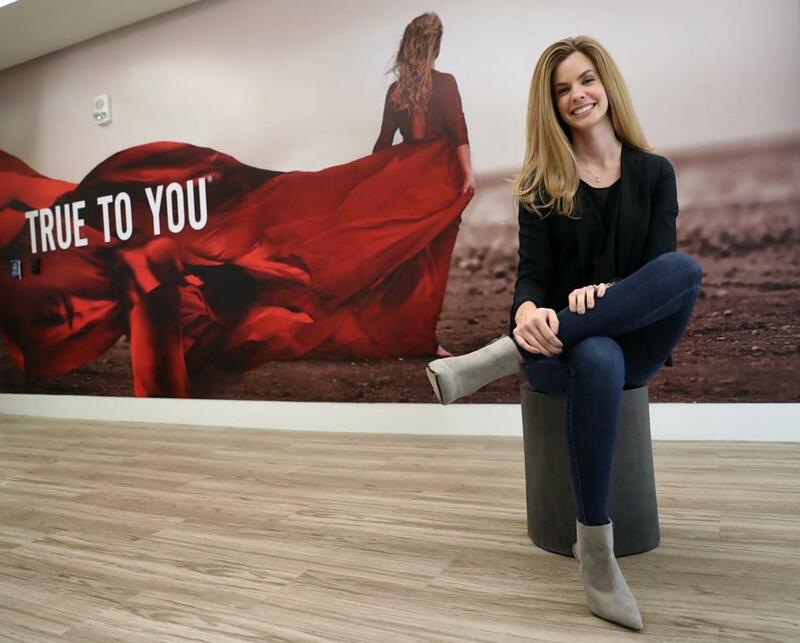 But as disparate as the two industries seem, Sarah Hodge Grob tries to bridge the gap at the Boston software company True Fit. As its senior brand manager, she represents the designer’s viewpoint. Sizing has long been a fashion minefield, fraught with psychological angst — many women would rather be a size 2 than 12. But sizing isn’t standardized, and bodies come in all kinds of shapes. True Fit has long attempted to sort out the size issue, hence the company’s name. 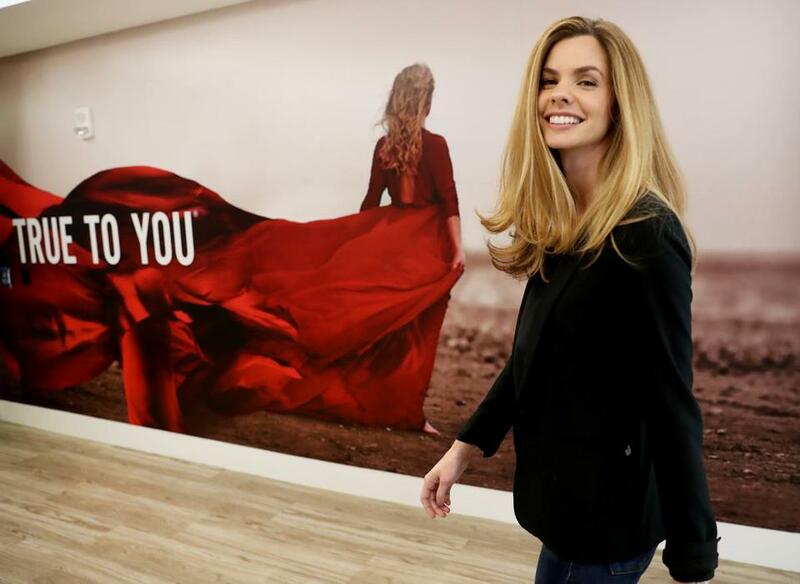 Grob, a former model and retail worker, helps the company’s data engineers gather information on sizes and styles so they can create a fashion “genome” that allows for personalized clothing recommendations. True Fit gathers data from consumers to build anonymous shopper profiles. It factors in such things as sales and returns records, and buying habits. The information provides insights to retailers and manufacturers that help them create and market clothing that consumers will “love and keep, and not return,” says Grob. The Globe spoke with her about being the human fashion connection for machine-learning technology. Sarah Hodge has been with True Fit since the beginning, when clothing racks and shelves filled the windowless office. Today she's risen from intern to brand ambassador, overseeing True Fit's entire collective, which has grown to include over 17,000 global apparel and footwear brands. “I’ve always loved fashions, especially the transformative effect that clothing can have on someone, whether it’s high heels or the right suit. I was told I should try modeling, but was too fearful of rejection. Then I was introduced to a major agency and started modeling for department stores and luxury brands. I decided to get a degree in fashion merchandising because I had an innate sense for silhouettes, fabrics, patterns, and trends. I wasn’t sure what I’d do with it — I didn’t want to become a buyer and move to N.Y. or L.A., so I worked in a retail store for a while, selling jeans, of course. I’d watch women go into the dressing room and struggle to find the right size or style — it was a trial or error process. “One day, I answered an ad looking for a customer service intern. It was a small windowless office in Woburn, with racks and racks of shelving stacked with jeans. At the time, True Fit, was an e-commerce site — sort of like a clothing test kitchen — fit testing and gathering customer measurement and preferences. We cut our teeth on denim, because if the ‘formula’ for the right pair of jeans could be found, we could build upon that foundation. There were only five of us in the office, and I was also the resident model, taking photos to put up on the website, and content curator for everything on the site. “Flash forward to today, when True Fit is a software company with 250 employees.I’ve gone from intern to brand manager, overseeing our entire collective of brands, which includes ASICS, Levi’s, Clarks, Carhartt, Lilly Pulitzer, and more. “Construction details about apparel or footwear [are] not something that manufacturers have historically shared, but this information can benefit consumers as well as provide insights on consumer behavior. Right now, I am working with our scientists on the mechanics behind an intelligent size and style denim finder.